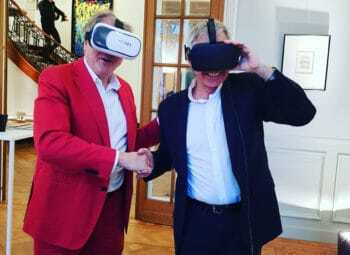 This summer Christie’s London in partnership with Vastari have launched their Art+Tech Summit, an annual initiative bringing together international industry experts and leaders from different sectors exploring the impact technology is having on the art world. 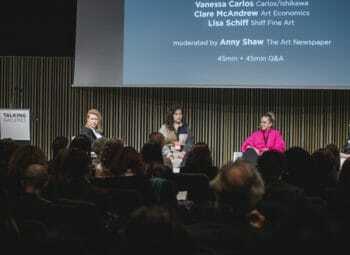 The conferences will aim to highlight a different technology as its focus each year, with this year’s being Exploring Blockchain – Is the art world ready for consensus? 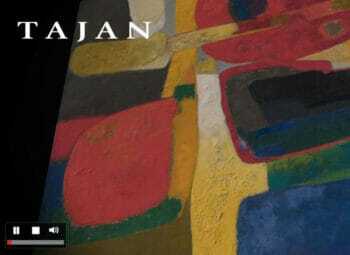 The conference was co-curated by Vastari, a leading technology company, who operate the world’s largest online marketplace for art and culture exhibitions. 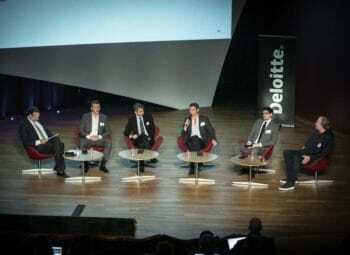 On Tuesday 17th July, Frédéric de Senarclens, Founder of ArtMarketGuru introduced the topic Speculation and Previous Initiatives Issuing Shares in Art and moderated the panel discussion on Blockchain in the Art World – Tokenisation and Securitisation. The discussion was then opened up to the panel which included; Marcelo Garcia Casil, the Founder and CEO of Maecenas, Niccolò Filippo Veneri Savoia, the Founder and CEO at Look Lateral and Marco Abele, the Founder and CEO at TEND. The esteemed panel later go on to share their experiences and expertise on the subject, having each launched their own start-up companies that allow for the tokenisation of artworks, it made for an eye opening and informative talk. For those who did not get the chance to attend the conference the following article will outline the key topics that were touched on. Firstly, Frédéric de Senarclens defines what he means by the term Issuing Shares in Art. With the introduction of blockchain and new art platforms using the technology, it is increasingly common for an artwork to be divided into parts, with each part owned by a different person, gallery or institution. The practice is not however, an entirely new concept. Throughout history, collectors, museums, dealers and artists have been known to share ownership of artworks allowing them to further the diversity of their collections. It is common for two or more dealers to buy an artwork together, that under normal circumstances they perhaps may not have been able to afford. Buying works together also allows for them to share the risks associated with their acquisition. Research undertaken by the Art Fund (the British Charity that raises funds to acquire artworks for the nation) shows that sharing collections can help aid curatorial and institutional skills, as well as raising the public profile of regional museums, whilst increasing the number of visitors for galleries. Where new works are acquired, new interest is formed with an increase in people buying and going to view art. 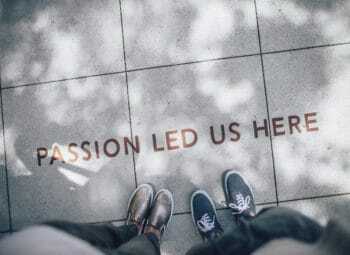 Traditional funds that have invested in art are viewed as investment vehicles, they are generally privately-owned and dedicated to generating returns through the acquisition and disposition of works of art. Known to have varying degrees of success, they are intrinsically linked to the topic of issuing shares in art. The art market is characterised by a lack of regulatory authority and lack of transparency, advocates of art investment funds argue that these characteristics generate opportunities for experts to exploit the market for the benefit of the funds investors. Although not strictly an art fund as we know it today, the La Peau de l’Ours, otherwise known as the Bearskin Art Club was established in Paris in 1904 and was essentially a group of gentlemen investing in art together. The founder Andre Level, invested in more than 145 works, acquiring major paintings by Paul Gauguin, Henri Matisse and Pablo Picasso. When the firm was dismantled, just before World War I they reported an impressive return of four times the original investment. The first official art fund named the British Rail Pension Fund, dated back to 1974 and invested in over 2,500 works of art during a six-year period. Originally the scheme prospered delivering an aggregate return of 11.3 % per year from 1974 – 1999. The Fine Art Fund founded by Phillip Hoffman, a former executive at Christie’s auction house was launched in 2001. The fund endeavours to help clients approach the art market with a view to investing and not just buying art. 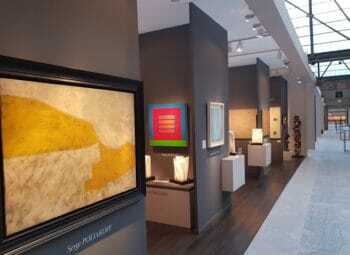 It does this through offering private collectors expert advice, collection management and art financing. Although it does not disclose its results publicly, it is thought to be doing well. With the London based Fine Art Group acting as one of the biggest players in the market, managing several funds with combined assets in excess of US $200 million. On the other hand, many art funds have failed. It still remains unclear as to the actual number of art funds making the evaluation of the size of the market difficult to estimate, especially with many art funds choosing to operate out of the public eye. After briefly outlining the history of organisations and collectors sharing art, Senarclens remarked it was important to understand the different forms of co-ownership that operate within the artworld before delving deeper into the subject. Proof of payment for one parties share in an artwork is not always sufficient enough to demonstrate their part ownership, other formal agreements should also be cemented before acquiring the artwork. Co-ownerships are usually carried out in one of two ways, the first being through a traditional oral or written agreement. The second is through the creation of a jointly owned “special purpose vehicle”, otherwise known as an SPV, whereby the parties choose a form of legal entity through drafting a governing document for the SPV which outlines the nature of the agreement between the parties. There are many issues which need to be considered when entering into a co-ownership agreement. Co-owners should first agree on the numerous decisions associated with the artwork, these include; how the artwork will be managed, who will have possession of the work, who decides when and where the work can be loaned, as well as when the work can be sold. The costs associated with artworks, such as cleaning, framing and restorative work among other things should also be taken in to account. There are various issues which accompany co-ownership, one being the problem of one person wanting to sell their share. In this case the remaining owner may be forced to sell their share against their will or may have to find a new co-owner, who is perhaps unsuitable. There are actions one can take in order to prevent this from happening, but it does demonstrate that in order to form a successful co-ownership there are various motions that both parties need to go through before anything can be finalised. There are of course other issues that arise when investing in art more generally. For example, there is often a trust issue which relates to the lack of transparency and regulation of the art world. Another issue is that of illiquidity, whereby buying works is easy, however, timing when to sell works is much more difficult, with changes in the financial market and public tastes constantly changing. Artworks do not generate a cash flow, instead they create expenses such as shipment, storage, insurance, restoration and framing costs among other things. Besides these costs the initial investment in an art fund or an SPV is usually very expensive. Typically, art funds will charge an annual management fee, between 1%-3% of the total asset value of the fund as well as a performance fee equal to 20% of the profits made. Art investors are also paying high transaction costs. 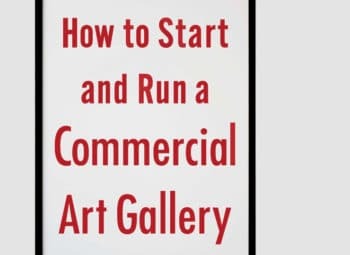 When buying from a well-established gallery you will be paying them a 40-50% commission, and when you go onto sell the work an auction house will charge up to a 25% buyer premium, as well as charging the seller a premium. This goes back to Art Funds and the fundamental reason why many were not successful, which is due to the high costs involved in the business. With many fund managers overpaying for artworks and going onto sell them at the wrong time. It is therefore not surprising that investment fund products remain a niche service. According to a Deloitte report, only 11 percent of wealth managers offer an art investment fund product to their clients. 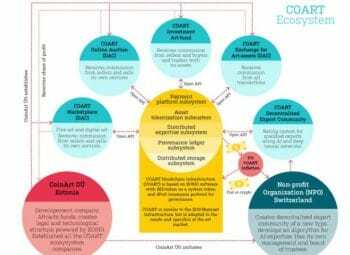 Senarclens then returns to the crux of the issue in the context of blockchain technology, addressing the following questions; Can blockchain technology allow for a more efficient way of sharing the ownership of an artwork? Could blockchain technology reduce the cost of managing an art fund? And could it increase the sense of trust between separate parties? Art has become a currency in itself and when artworks come to auction their provenance contributes to a vital element of their value, blockchain allows for this whilst creating a traceable record of every transaction. Therefore, in theory blockchain technology could offer solutions for security, trust and transparency. Smart contracts may allow for the formation of a more honest art exchange on platforms. With the new digital platforms enabling owners, collectors and investors to carry out direct transactions safely with each other. Blockchain also could potentially reduce the need for intermediaries such as galleries, brokers and art dealers. Whilst transaction costs could also drop as blockchain portals offer an opportunity to replace dependency on traditional players by presenting trustworthy, decentralized trading platforms. By publicly recording all transactions, blockchain’s price discovery mechanism promises a more transparent art market. Blockchain technology may also enable a wider audience access to the art market. With investors being put in a position to diversify their assets, owning shares of various artworks. This in turn will enhance the liquidity of the art market. 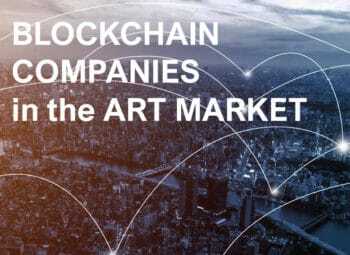 Blockchain platforms have the potential to offer more opportunities to art investors, allowing them to buy a share in an artwork at a lower transaction cost, once again increasing liquidity and transparency. 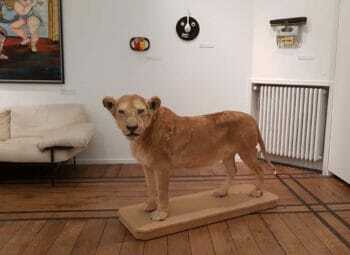 Galleries and collectors will be put in a position where they can raise funds by listing their existing artworks on the exchange to sell their assets, or to ﬁnance the purchase of new collections. On the other hand, there are obvious risks associated with the use of blockchain technology. The first being the risk of inflation linked with buying a share in an artwork on an online marketplace. As you are buying a small share in the artwork that perhaps you may not have been able to afford otherwise, it becomes less psychologically valuable to you than if you owned the whole, physical artwork. In this sense the share you end up with when purchasing on an online platform becomes a “penny stock” and has very little correlation with the real value of the artwork. There is also the issue of having two competing markets running at the same time; the real world with dealers, collectors, shippers – and the crypto world – where artworks are in the form of jpg and crypto figures. Selling shares on an online platform like Maecenas for a work of art means that one half will have a brick and mortar value, whilst the other half is traded as “penny stock” on a virtual stock exchange. The issue surrounding this is that there seems to be different intentions in the real world and the crypto world, the latter perhaps not sharing the same level of interest in art, focusing more on the financial gains. Another associated risk is that of crypto currency, with most blockchain ventures launching their ICO (Initial Coin Offering) creating their own crypto money. This means that in order to buy a share in an artwork, you would have to convert your dollar into Ether, buy a crypto coin and then buy a share of the artwork. Therefore, you are taking on the risks of the artwork fluctuating in cost as well as the risk of the crypto currency fluctuating. There are also distinct cybersecurity risks associated with Blockchain cryptocurrency electronic wallets which are a target for online hackers. Hackers are developing malware software specifically designed to steal funds from Blockchain wallets, where customers hold their tokens. Litecoin creator Charlie Lee went so far as to call Etherum a “hackers paradise” in a conversation with CoinDesk last year. Taking this into account it is hard to see why hackers will not be just as interested in gaining artwork shares for free. 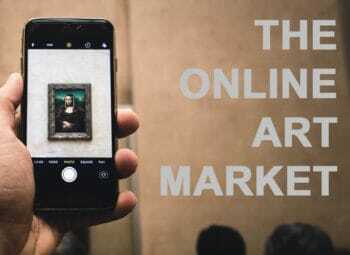 Finally, one also has to consider that in order for an art marketplace to sell shares in artworks they must be able to attract a sufficient number on buyers to their platform in the first place. People will naturally go where the market is and as a buyer or a seller, there is a high risk that you may pick the wrong platform. To summarise, sharing ownership of an art asset is a something that has been practiced for many years, however, with the introduction of online platforms like Maecenas owning a fraction of an artwork is increasingly common. There are of course issues that arise with blockchain which have been examined, such as cybersecurity, yet, there are also vast benefits such as the lowering of costs. Blockchain technology is fast gaining momentum and as the online art market continues to grow so too does the amount of people investing in shares of artworks. If you would like to find out any further information on Christie’s Art + Tech Summit, Exploring Blockchain it can be found here.